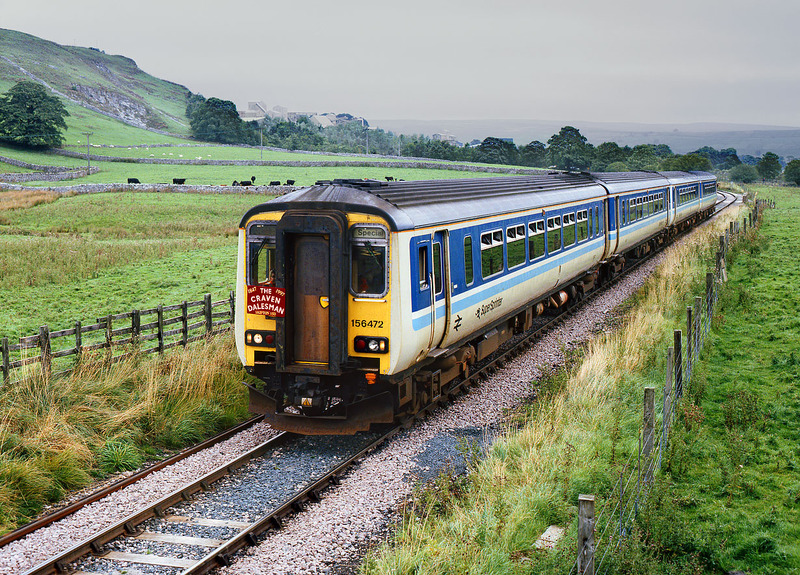 Class 156 railtours are not a very frequent occurrence, but on 7 September 1997 a pair of these units were used on the normally freight only Rylstone branch in connection with the Skipton 150 celebrations. With Rylstone Quarry in the background, 156472 leads 156470 with the Aire Valley Railtours 2Z20 'Craven Dalesman', now running as the 13:10 Rylstone to Skipton, having worked in as the 12:20 Skipton to Rylstone. Unfortunately the heavy cloud cover didn't disperse till well after the train had gone.